Normally I watch very little television or movies, but my pattern has changed a bit during my involuntary (but nice) recovery period from my recent surgery. 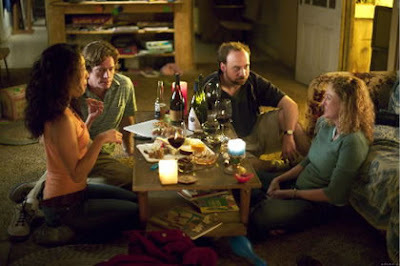 I took the time to watch a couple of wine-related movies that I had been curious about: Sideways and Mondovino. Yes, I know I am way behind the times since both of these were released in the theaters several years ago but like I said, I am not much of a movie or tv fan. Better late than never, though, huh? What did I like about Sideways? The scenery up in the Santa Barbara/Santa Ynez area is gorgeous. I just love it up there and watching the movie made me long to be back up there soon. Also, it was quite interesting listening to the characters discuss wine. What did I not like about Sideways? The acting was great; Paul Giamatti and Thomas Haden Church did an incredible job with their characters because all I kept thinking during the movie was what total losers both of these two were! I know it was just a movie, but how anyone could act as pathetically immoral as these two got me totally disgusted. I did appreciate their acting talents, though. What else about Sideways? It's a sad statement that this one movie could be so responsible for the decline in Merlot sales and an upswing (and resulting price increase) in Pinot Noir sales. Are people that fickle? I think if I knew little about wine, Mile's musings about Pinot Noir would pique my curiousity enough to want to try a bottle or two, but to create a total fad around this varietal? People are flakes is all I can say. Moving on to Mondovino: This was an interesting movie. I did get somewhat seasick from the amateurish, home-movie style employed and the cameraperson's obsession with spending far too much time on meaningless, boring shots. It was also a film with an obvious bias in favor of the little guy, the terroirists against the evil Michel Rollands and other winemaking consultants of the world. As I watched the movie, I tried to think of how the same content could be framed with a bias in the other direction, towards technology as a step forward instead of backwards. I suppose one could say that technology now enables wine to be more uniform, negating the effects of a bad vintage and thus reducing economic losses by being able to salvage wine that otherwise might be unsaleable. But on the other hand, that does lead us more towards a global consistency in which the terroir and the vintage play a lesser role in the character of a wine than do the winemaker and the processes applied in finishing the wine. How do the "greatest" wines of today compare to the "greatest" wines of long-ago vintages? Have modern winemaking techniques made current wines any better than before? Maybe more consistent, but in terms of a truly great vintage, one in which the wines "made themselves" that year because all of the growing conditions were just right, would a wine from today still be superior to a wine from yesteryear because of the techniques applied now that weren't applied back then? 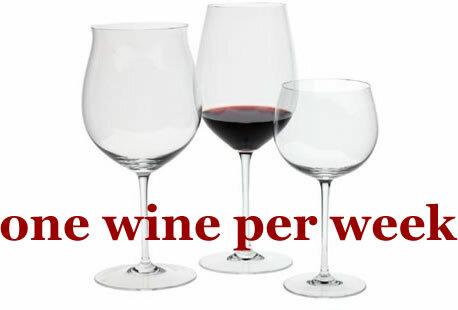 I guess part of it is, do you want a consistently good glass of wine every time you pop and pour, or do you want to be able to taste a difference that reflects the growing conditions of the vintage that generated that wine in your glass? Note: tomorrow we'll be back with more annoyingly expensive wine-enhancement devices from J. Addison and the Wino Hedonist.